We're THRILLED to announce that registration is now open for the 2018 Hungry Girl Cruise! Join Lisa Lillien (Hungry Girl herself!) and Hungry Girl staffers for a life-changing trip that's motivational, inspirational, informative, and INSANELY fun. It's like a luxurious Caribbean summer camp for adults! BONUS: The first 100 cruisers to book will get to attend an exclusive VIP party onboard. So act fast! In April of 2018, We're Sailing to the Western Caribbean! Where: Departing from Fort Lauderdale, FL: Half Moon Cay, Bahamas; George Town, Cayman Islands; Cozumel, Mexico; and Key West, FL. Enjoy adventurous excursions or just relax at the exquisite beaches! And since the Hungry Girl programming only happens at sea, you'll have plenty of time to enjoy the beautiful ports. Check out the port descriptions and photos! "It was like one big slumber party! The camaraderie, the eating tips, the seminars... It was a wonderful experience and I can't wait to do it again!" "There's no way you shouldn't go on this cruise. It's just so fun, and the places you visit are so warm and beautiful!" "My favorite thing was meeting Lisa. She's very down to earth. I also met a whole bunch of like-minded people who want to eat better and feel good. I'm taking those friendships home with me." "Great sessions, and great trips. (Horseback riding on the beach!) These are strategies that will change your life." "The emotional eating panel helped me see things differently. And I loved the gift bags: cookbooks and goodies! I really feel I got my money's worth." "Everything was great! The Hungry Girl staff is amazing and invested in helping us. You all went above and beyond!" See photos from the first Hungry Girl Cruise! 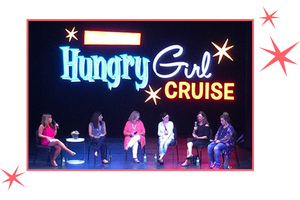 So What Can You Expect on the 2018 Hungry Girl Cruise? Demos & How-Tos: Lisa will deliver hands-on kitchen guidance... See her recipe concepts come to life! Interactive Sessions: Learn Lisa's tips 'n tricks for losing weight and keeping it off. Hungry Girl keeps you on your toes with surprise activity breaks filled with music, must-have prizes, and much more! Panels & Discussions: Successful dieters will share what WORKS. Other lifestyle topics will also be covered: health, beauty & more! 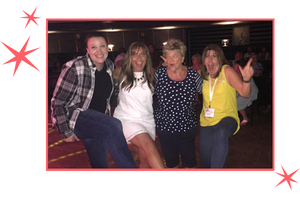 Parties & Get-Togethers: Bond with Lisa, the HG staff, and fellow Hungry Girl cruisers! Workouts for Everyone: Join Lisa's personal trainer, Mandee Miller, for all-level group exercise crammed with energetic fun! Giveaways Galore: Receive exclusive HG goodies and TONS of HG-friendly snacks! HG Entrées! Enjoy Hungry Girl recipes (plus other AMAZING food options), complete with calorie counts! Check out more HG events & onboard highlights! 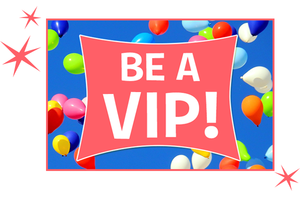 Book Now for VIP Status & Onboard Credit to Spend! The first 100 cruisers to book will attend a VIP party with Lisa and the gang! Our intimate VIP soiree was a highlight of our last cruise. Get to know Lisa and the Hungry Girl staffers while sipping HG margaritas, snacking on appetizers, and grooving to good tunes. Don't miss out... Book ASAP! We're putting money back in your pocket with an onboard credit bonus! Receive up to $150 to spend on the ship: at the spa, specialty restaurants, casino, and more. Click for details, and book your cabin to get your credit! Click for accommodations, pricing & booking! Today, May 3rd, is National Raspberry Popover Day. Pop over to this page for some Raspberry Kiss Crunchettes! 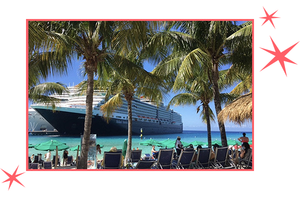 The Hungry Girl Cruise is perfect for friends and family... Click "Send to a Friend" to spread the word!